Wow, another month gone by without a post. I have no excuses for you, but I do have a super tasty recipe. Two years ago, my husband and I went to NYC for a long weekend. We caught three shows, did some shopping, and hung out with friends. On our last morning, we stopped for a quick breakfast at a diner around the corner from our hotel. On a whim and looking for something more nutritious than bacon, eggs, and flapjacks, I tried something I had never heard of before: Flannel Hash. When it came, it was a huge plate of different colored cubes ("flannel"). Since I'm not a fan of breakfast potatoes or hash browns, I was apprehensive. I LOVED it. This dish is super easy to make and is perfect for those St. Patty's Day leftover. (Yes, we had this after St. Patty's Day and I'm just getting around to posting it now.) But, trust me, this dish is good enough to take the trouble to make all by itself, any time you can find brisket in the store. It's hearty enough for any meal of the day! 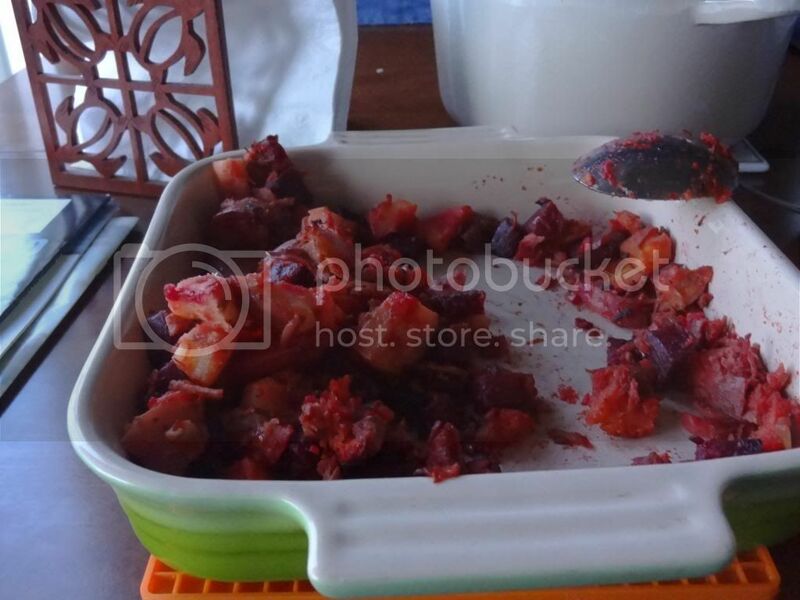 *I recommend roasting the beets, sweet potatoes, and potatoes for this dish. It brings out their natural sweetness. Cut into 1/2" cubes and toss on a sheet pan with olive oil, salt, and pepper. Roast at 400 degrees for 20 minutes or until fork-tender and slightly browned. Melt butter in olive oil on medium high heat. Saute onion until translucent. 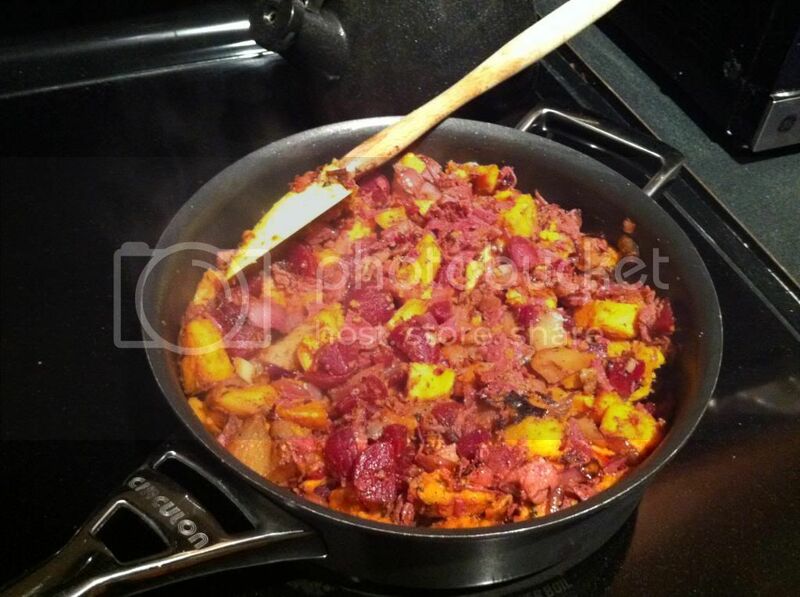 Add corned beef, beets, sweet potatoes and potatoes to the pan. Drizzle with Worcestershire sauce and sprinkle with salt, pepper, and parsley. Go easy on the salt if your potatoes are well-season as corned beef is salty. Serve by itself or with eggs.